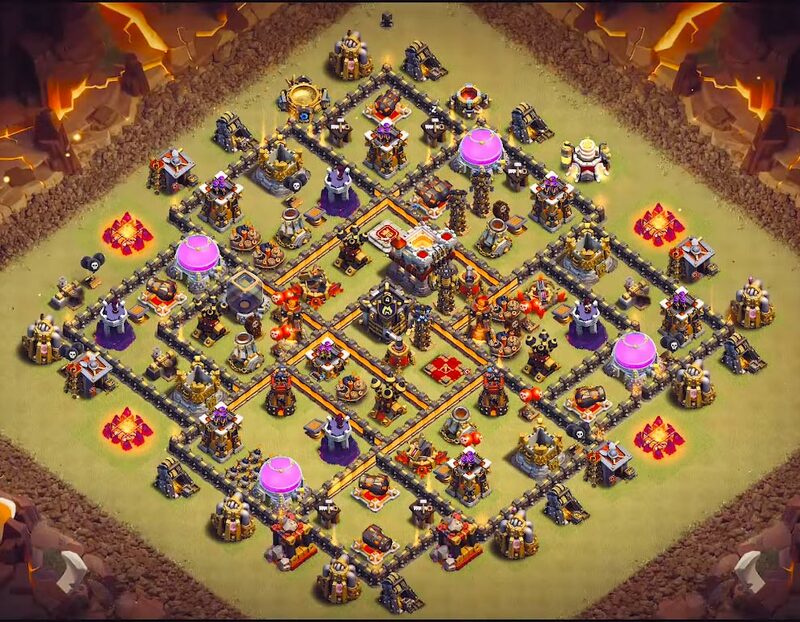 Best th10 War Base Anti Valkyrie/Bowlers with Bomb Tower 2019. 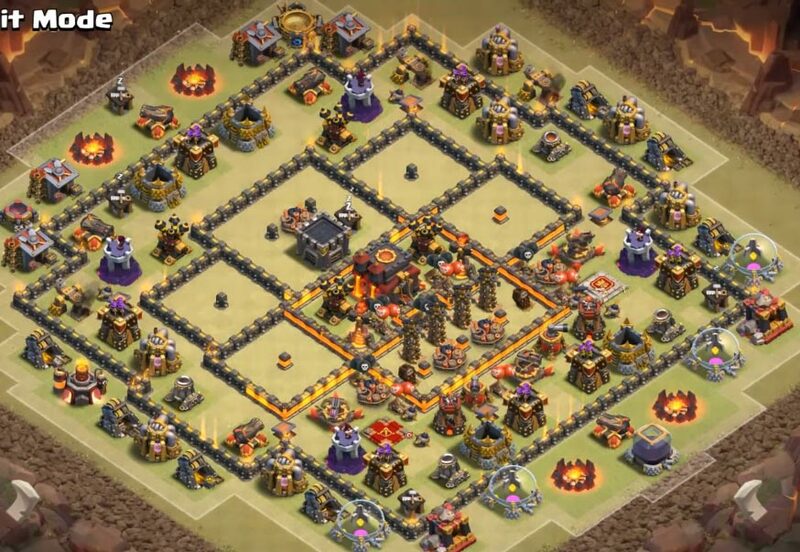 These layouts are really good at defending various attacks like Valkyries, bowlers and miners. 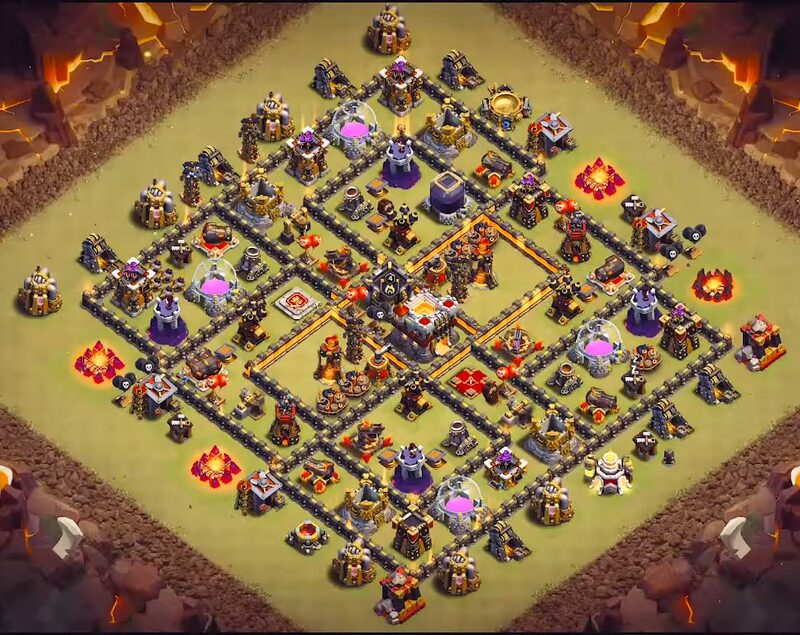 We have included a Youtube video on town hall 10 attacking strategies at the end of this blog post. 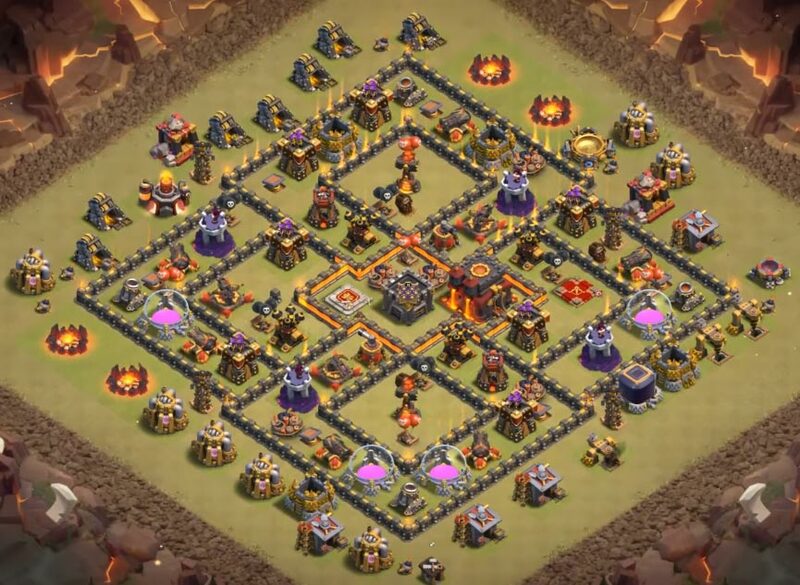 So, without further ado, lets get level 10 war base designs right now. 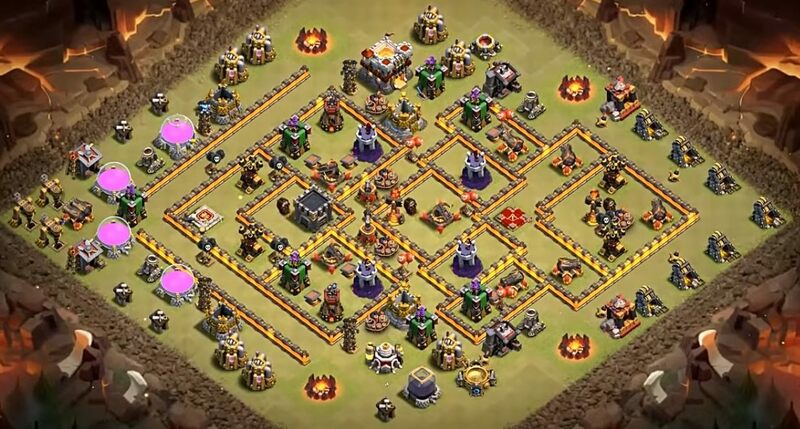 want to know what is clash of clans apk ? 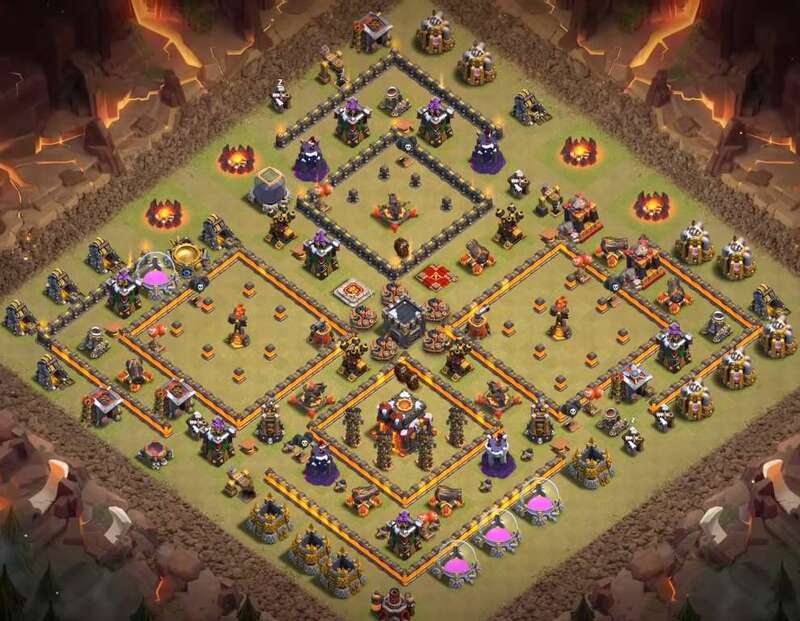 First in the list is an excellent layout.This is one of the layout in the list which has unique construction. 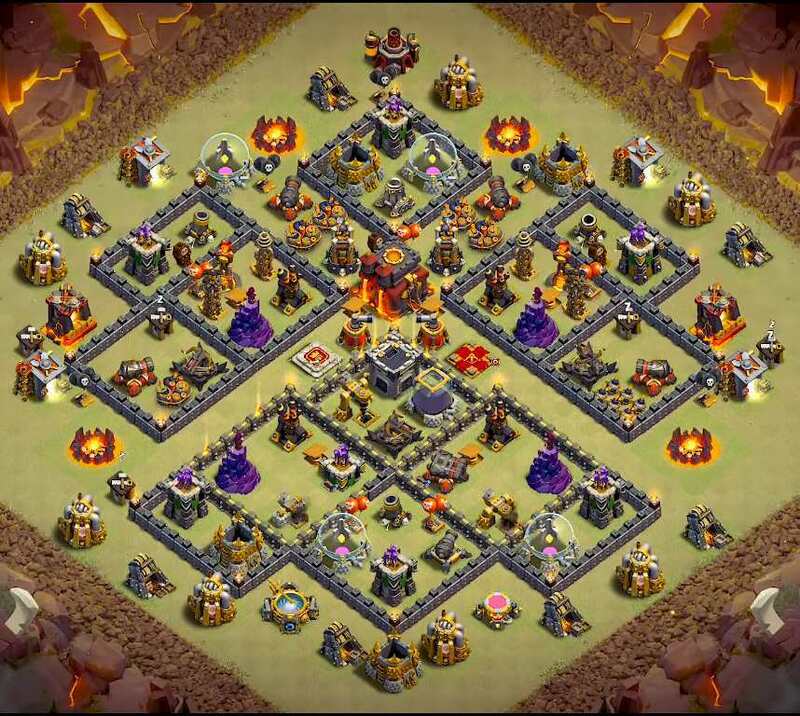 this layout has four different boxed compartments having two inferno towers in the opposites of the base which covers entire defense buildings around them and if we look at outer compartment which has air sweepers deep inside followed by x-bows. 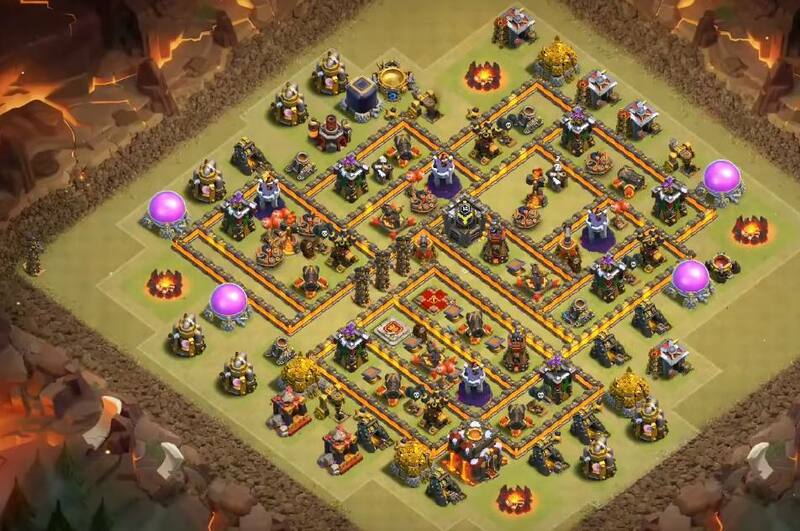 Just observe how cleverly this base design is constructed. Anti Air Attacks (Laval Hounds and Balloons). This is a double donut base design. Main thing about this base design is to make troops go round across the layout and if you clearly observe the main compartment is composed with the main defensive structures. overall this is an excellent village. first of all lets look at how this layout design is compartmentalized. It makes really for ground troops to reach the inner compartment. All defensive buildings are outside the two inner compartments but the attackers assumption will be different they think exactly opposite to it. 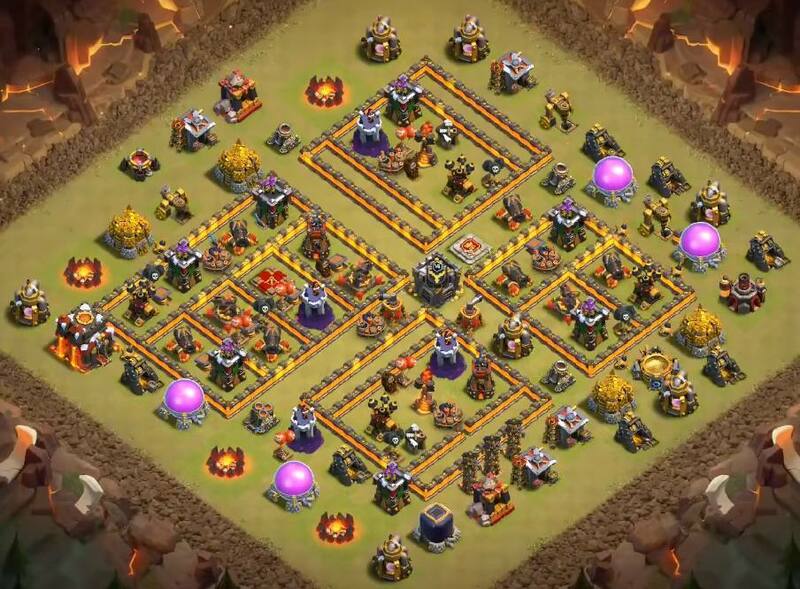 I frequently enough have noticed this foundation nearly even defended the 2nd Star so that is for certain that you wish to test.This foundation here is difficult to strike if the attacker chooses to utilize air troops together with the Inferno positioning along with also the Air Defenses in line right at the middle of the foundation. If your foundation frequently gets assaulted by Queen Charge & Bowler or Hog Rider attacks, this foundation Is Most Likely your Very Best Option. This foundation here works good against Valkyries but also other assaulting compositions with Golems. The overall design of these compartments will divide up the troops and down them merciless one until they could even get to the middle. 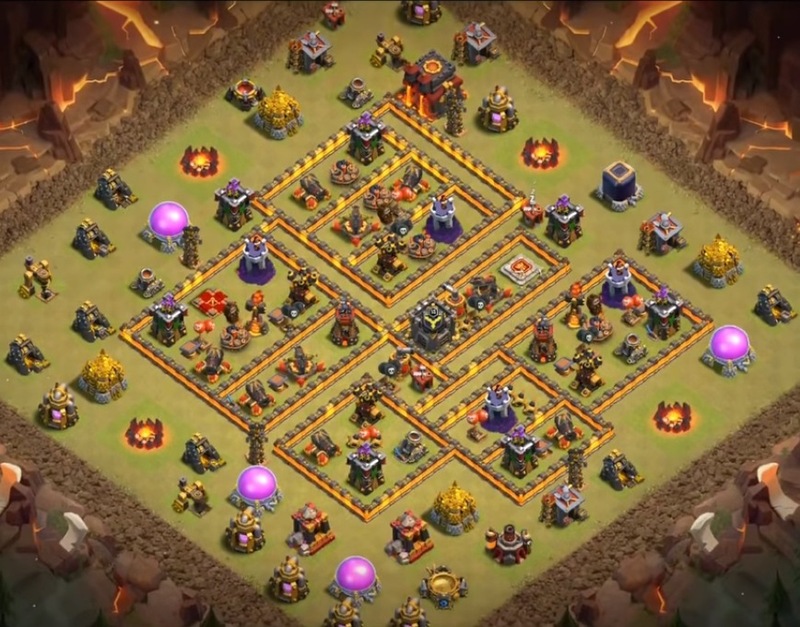 Additionally, The X-Bows are set in places where they could cover nearly the entire place all the time to maintain DPS high on troops while they must take long distances at the center area. Can I join ur clan? 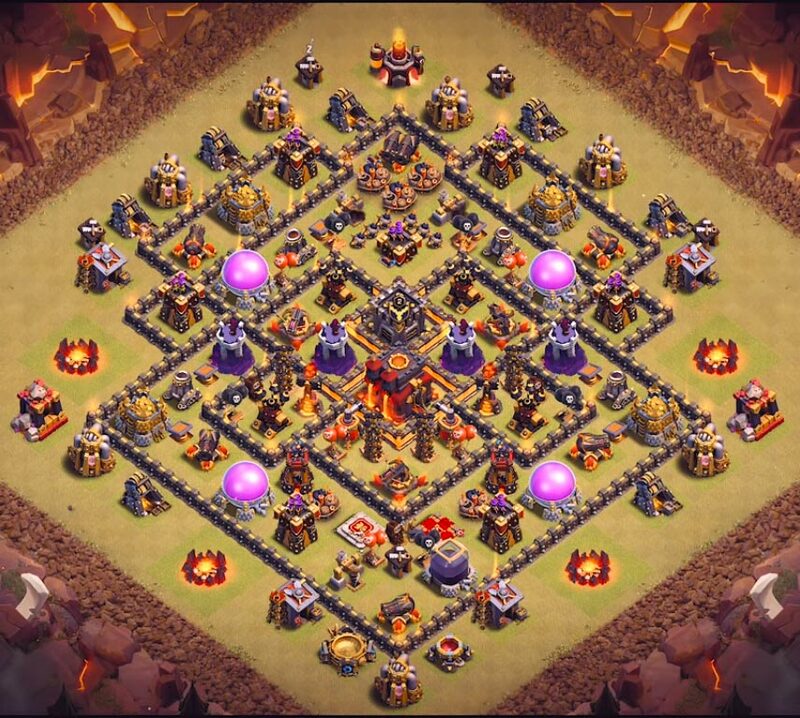 I really wish I could get some credit I have been studying th9 and ten bases for the last two years and all of these bases are very easy two-three star bases. 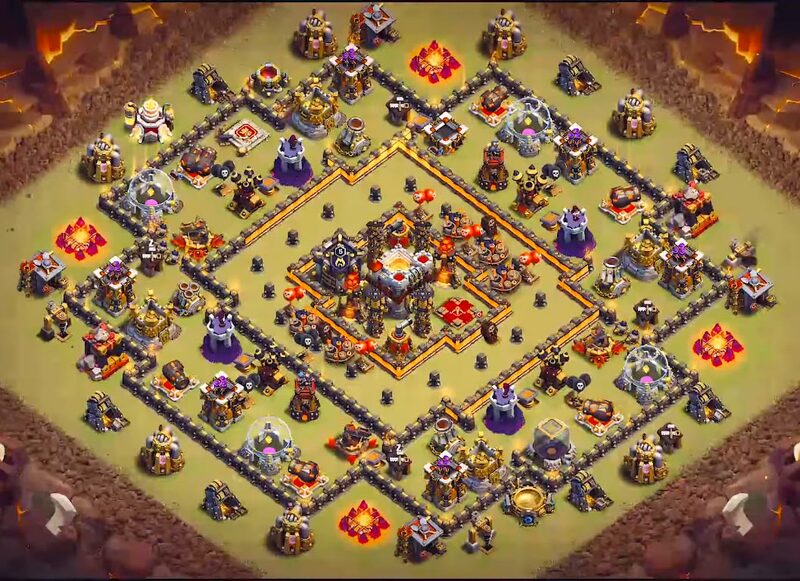 Anti valk not really 25 level 5 valks 2 jump and 3 rage with max queen and king would digest that base very very easy. 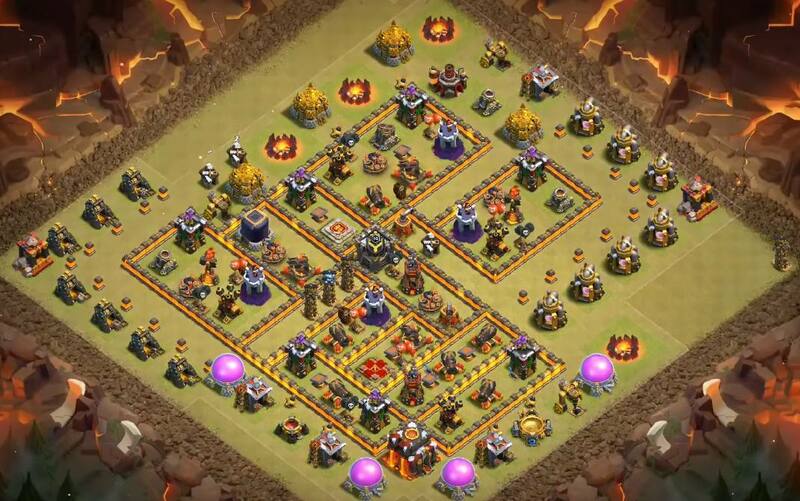 Please share your screenshots that you wrecked the above mentioned bases. Which is the best out of all the above?? ?